How to do Pilates for your body! This is one of the greatest takeaways. Pilates has an ideal way and exercise is done and then there’s how it works in your body. On a retreat with me, you’ll learn the concepts of the exercises and how you can do them on your own. And whether you are a Pilates lover or a Pilates teacher you’ll feel like you can teach what you learned to someone else! About the history of Angkor Wat and Cambodian life! Some of the Temples are over 1000 years old! The incredible designs, the beauty, and majesticness of these Temples are beyond the words I could use. You just have to see them yourself. And the Cambodian people are some of the kindest people I have met in this whole world. You can make friends anywhere! Whether you come on your own or you bring a friend you will find that you and retreaters are like a family by the end of the week! Shared Experiences are priceless. That traveling far and away is not as hard as you think! On a retreat, all you have to do is book your flight! I’ve got the rest curated for you. how to say hello, goodbye, and thank you in Khmer! You never know when else you are going to need it! So, you may be thinking, Cambodia is too far! Or, that maybe you’ll do it another time. But, here’s the thing. The people you’re supposed to meet, they’re already signed up. The exercises that you’re going to learn better, deeper or even for the first time, your body and mind is ready. The food, the people, they are all waiting for you. All you have to do is sign up! 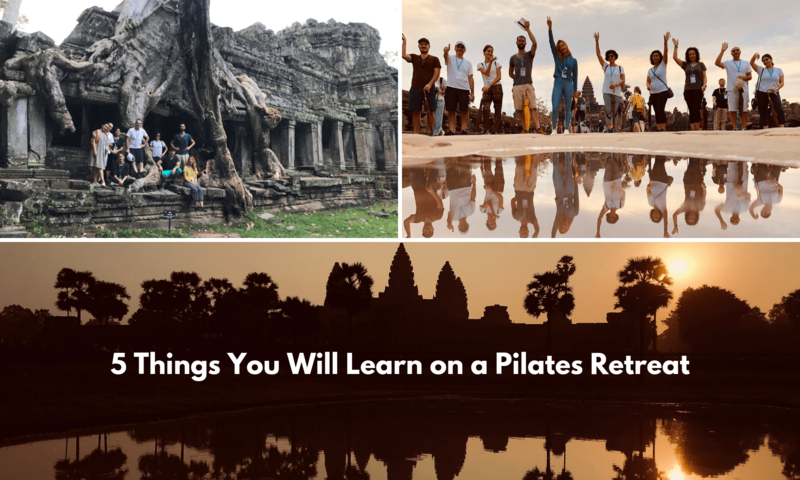 What will you learn on your Pilates Retreat?